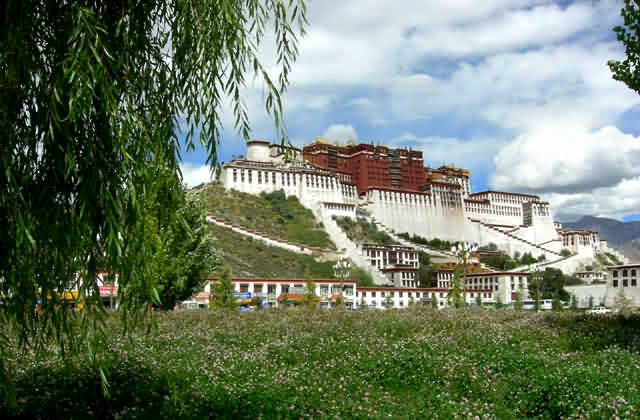 Tibet, once a isolated plateau region in Central Asia, produced the indigenous Bon religion and later has established Tibetan Buddhism, which was originally spread from India. 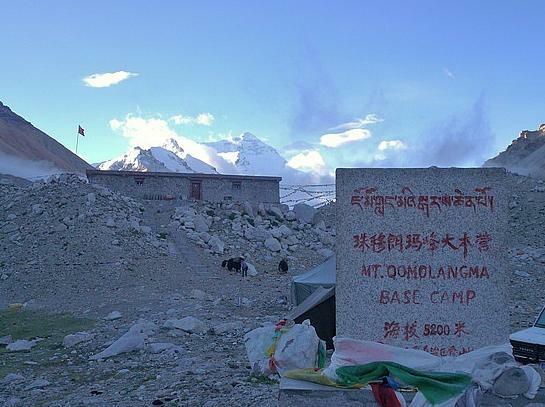 As two different beliefs rooted in one land, Bon and Tibetan Buddhism had been competing for the upper hand since their beginnings. Nowadays, both of them have extracted some advanced concepts from each other to perfect themselves and tend to coexist harmoniously. 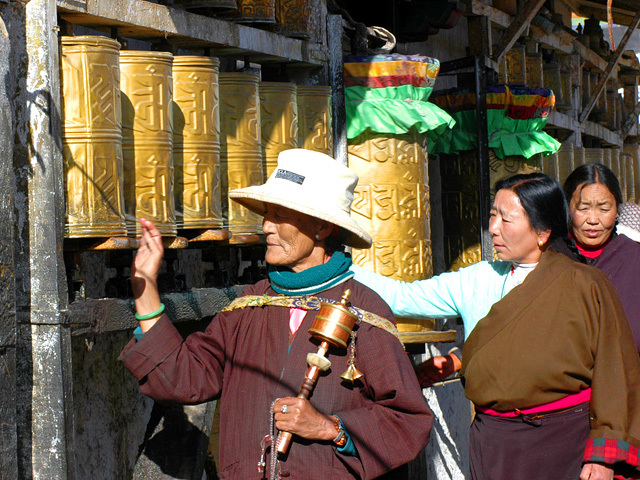 The Bon, the oldest extant spiritual tradition of Tibet, was created by native Tibetans during stone ages. One saying was that the founder of Bon was a man named Shenrab Miwo, who was lived in Central Aisa, while it can be proved in any case now. It also said that Bon had arisen from some religions of ancient tribes and shamanism. 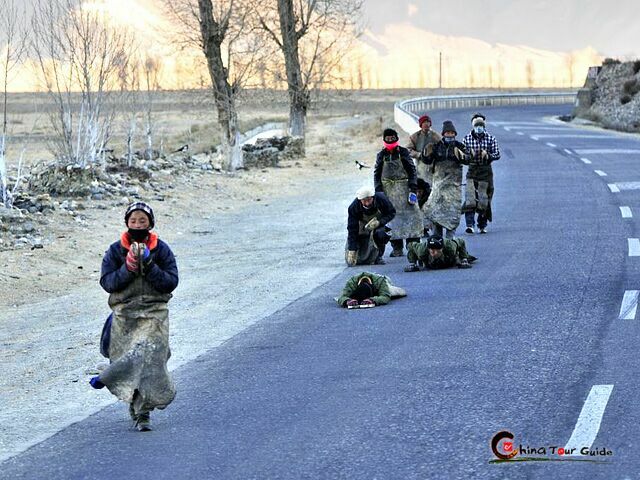 Indeed for a long long time, Tibet had practiced Bon tradtions until Buddhism came to Tibet, but it is still being practiced by native people as well. The main reason they were able to practice this religion was because Tibet was isolated for long time in the history. In the beliefs of Bon, all the things in nature, including sky, earth, sun, moon, lightning, thunder, animals and plants, have spirits themselves and worthy of worshipping. Earlier followers only indulged in the activities of divination, prayer, ghost-exorcising, sacrifice and others by sometimes using some supernatural magic, later they absorbed some essence of Buddhist sutras and formed their own classic Dharmas and a series of regulations. According to its development, Bon can be divided into three sects, namely Brdol Bon, Vkhyr Bon and Bsgyur Bon. The followers of Bon had built many monasteries to hold ceremonies and cultivate themselves calmly. 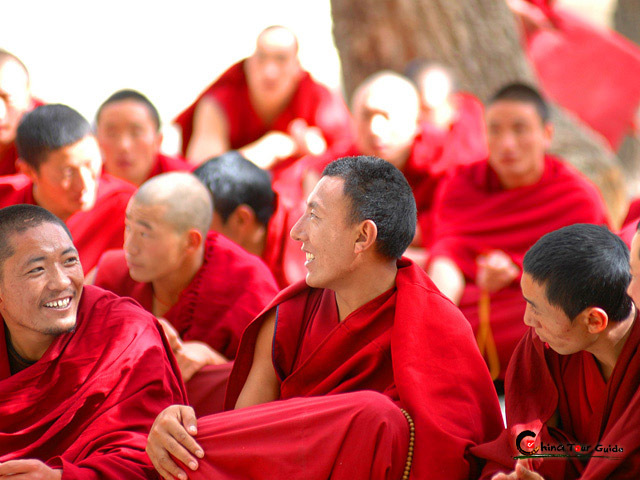 Nearly 100 monasteries still remain in Tibet, where over 3,000 monks live. Most of these are to be found predominately in the Nakchu and Chamdo Region. Among these is the Zezhel Monastery which is located in Chamdo region, one of the oldest and largest monasteries of Bon. Buddhism, spread from India, had established a branch in Tibet, just like in other countries. During the reign of King Songtsen Gampo (?- 649 or 650 AD), it boosted and was highly promoted in the 7th century, Since King Songtsen Gampo was married to a Nepalese Princess as well as a Chinese Princess, both of whom were Buddhists. And they brought many Buddhist scriptures and statues to the court. Gradually Buddhism began to infiltrate Tibetan culture and to displace the indigenous Bon religion. However, during Landama's (or Lang Darma) reign, Buddhism was banned and went into decline. The distinct form of Tibetan Buddhism also called (incorrectly) Lamaism developed during the 10th century and it became firmly established from this time onwards. Tibetan Buddhism has its particular form as it absorbed aspects of the Bon religion as it gradually established its dominance. Tibetan Buddhism also spread into neighboring provinces and countries. As the years passed a number of different sects evolved and which were to develop political as well as religious influence. Nowadays, Tibetan Buddhism is highly promoted and practised in Tibet and some other countries and regions, including northern Nepal, Bhutan, and India (particularly in Arunachal Pradesh, Ladakh, Dharamsala, Lahaul and Spiti in Himachal Pradesh, and Sikkim). Buddhist monasteries and temples are everywhere in Tibet, and in most of Tibetan people's houses, they are setting a buddhist worshipping room. Especially every year in winner, lots of sincere pilgrims head to Jokhang Monastery of Lhasa to do praying along Friendship Highway.